Eating out / Kiddie Parties / Kids and Family / Mommy Duties / To Eat or Not to Eat!? 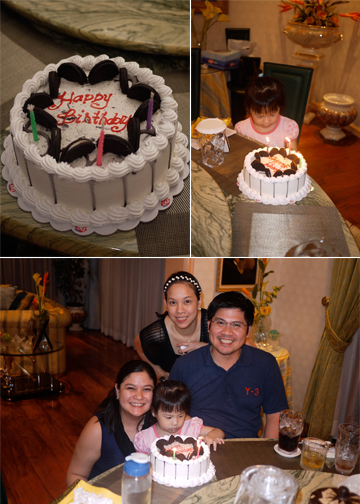 I definitely had a HAPPY birthday this 2011. Simple things make me smile. This year, it was as simple as having dinner with friends at home, having lunch out with friends, take-out food with family, an afternoon with the kids, a meal with siblings, and a dinner date with my husband. Of course, it all din’t happen on my birthday, these were spread out throughout the week. 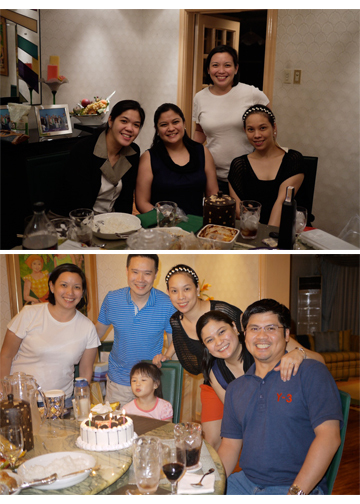 First off, we had an intimate dinner at home with friends for the September celebrants. I cooked Baked Garlic Chicken and Artichoke Dip served with multigrain chips. Had california maki from Cold Storage. Friends cooked baked spaghetti and bought DQ Oreo ice cream cake! My little helper...Grated the cheese for the Artichoke dip. Then started eating it! She helped with mixing all the ingredients and putting our McCormick spice! My helper getting bored while waiting for ingredients. 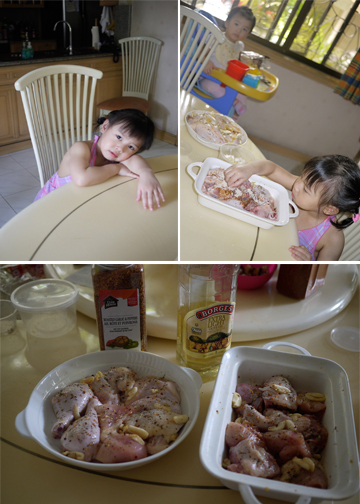 She helped with the marinade. Used a lot of garlic, spices, and olive oil for the chicken. Again, I forgot to take a picture of the food before it was eaten! Aaargh! Candle blowing of the mouthwatering cake by the celebrants. 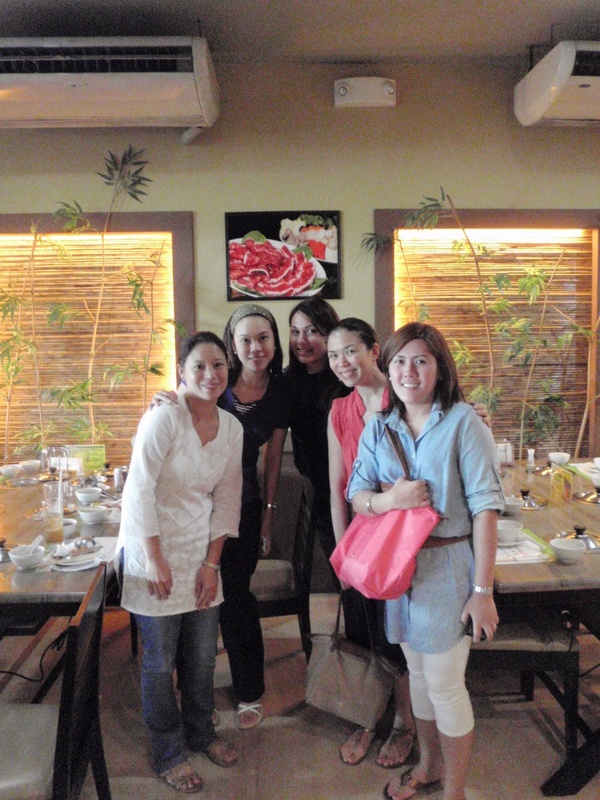 Lunch at Healthy Shabu Shabu. 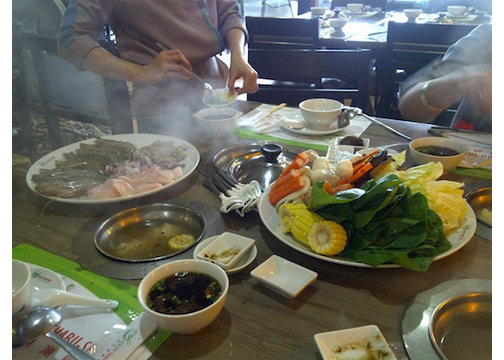 Our meat and seafood combination...we kept eating and eating yet it seemed it was never ending. Kids blew another birthday cake given by my friend Cathy. Lexi accidentally held the fire so she didn't want to go near winnie the pooh candle anymore. 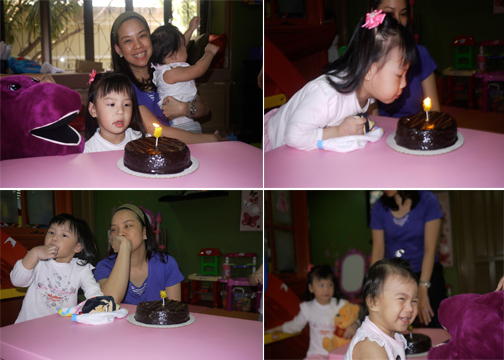 Then Chesca started getting some icing using her finger! Lexi loved it that Barney sang Happy Birthday too! Our little merienda with the kids. 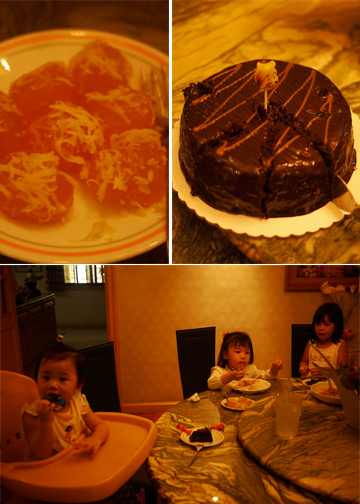 Pichi-pichi, Mrs. Polly's choco cake, & pancit...coffee for us moms. Lexi's first time to eat cake, look at her go! 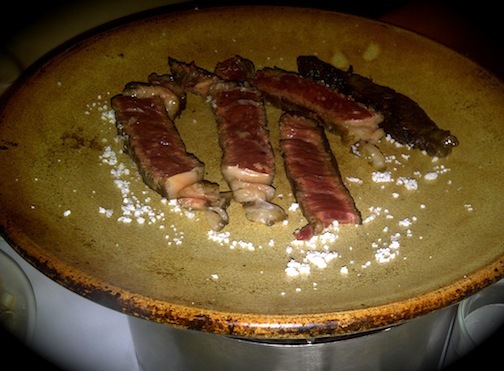 Then off to dinner at Gaudi with Rick as I’ve been craving for their steak for quite some time. Just haven’t had the chance to go, so now, we made time. 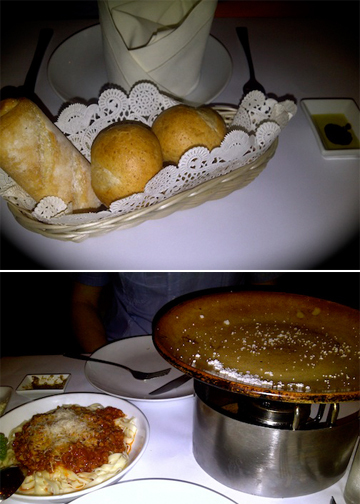 Started off with bread...then our chorizo pasta arrived...oh so yummy! 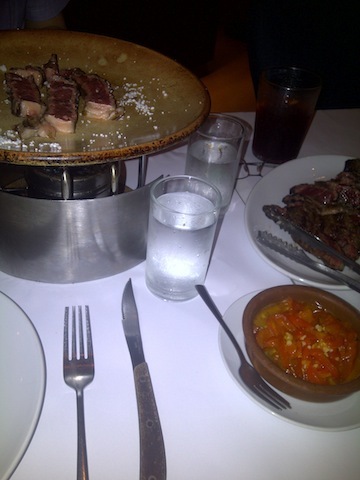 Our steak finally arrived! 700+grams just for us! Want a closer look? 🙂 It's pre-cooked a bit so it doesn't take that much time for you to cook it. After dinner, we had a short trip to Fully Booked to walk off our heavy stomachs. We also got some coffee to help. 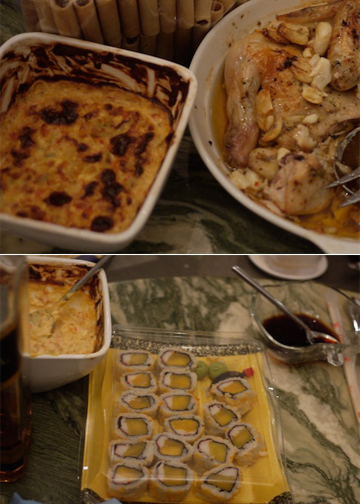 But then, the night wasn’t over…or shall I say, the eating wasn’t over! As we were parking our car at home, my cousin-in-law arrived with some goodies! yehay!!! After a couple of days, my siblings wanted to celebrate too…so we decided to try out Bonchon Chicken. Too bad I wasn’t able to take pictures of that. Now it’s double time for me to lose all those extra calories I took in for an entire week. 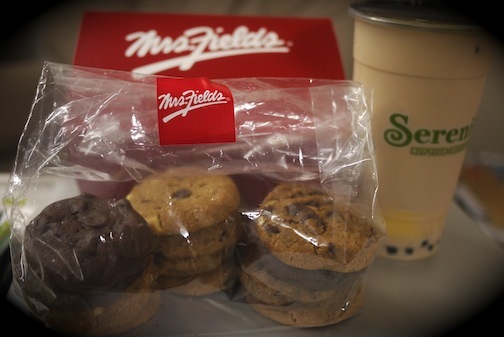 Mrs. Polly’s can be found at the top floor of Robinson’s Galleria. Real moist chocolate cake. Amber take-out telephone number: 531-0746, 533-1111, Edsa Branch. They charge P100 for delivery. Cold storage has several outlets, got our california maki at wilson branch. DQ (dairy queen) ice cream found in most malls. Healthy Shabu Shabu at Robinson’s Galleria.